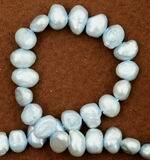 Sorry, we are currently sold out of 'Majestic Blue 6mm Pearl strand'. Please check back later. Sorry, we are currently sold out of 'Deep Antarctic Blue 8mm Pearls'. Please check back later. 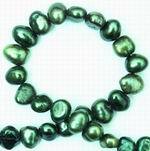 Sorry, we are currently sold out of 'Oriental Emerald Green Biwa Pearls'. Please check back later. 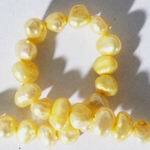 Sorry, we are currently sold out of 'Summer Mustard 8mm Pearls'. Please check back later. Sorry, we are currently sold out of 'Lavish Royal Purple Large Biwa Pearls'. Please check back later. Sorry, we are currently sold out of 'Silky Marine Blue Pearls'. Please check back later. Large Tungston-Brown Potato Pearl Strand - Unusual! Sorry, we are currently sold out of 'Large Royal Blue Pearl Bead Strand - 9mm'. Please check back later. Sorry, we are currently sold out of 'Moss-Green 8mm Pearl Strand with hint of gold'. Please check back later. Sorry, we are currently sold out of 'Purple Blister Pearl Bead Strand'. Please check back later. Gleaming Aurora Borealis Black Pearl Beads - unusual!